Babies don’t eat that much in a given day because their tummies are so small. Which is why its important to make sure that the foods they do eat are packed with nutrients. 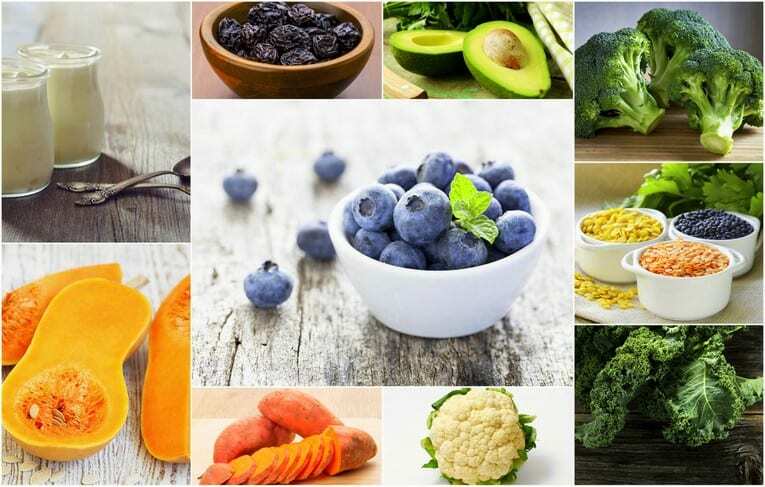 But honestly, these 10 foods could be considered “the top 10 superfoods for anyone” – not just for babies! So what is a “superfood”? 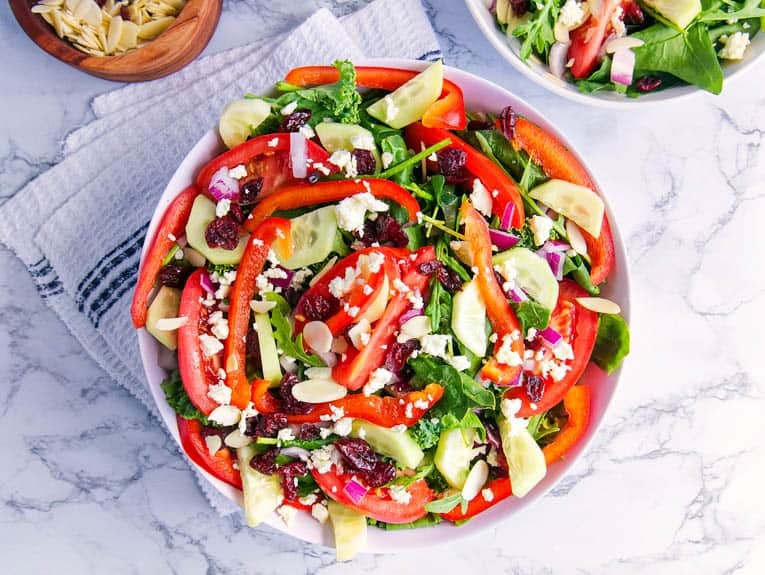 Superfoods are whole foods that are nutrient powerhouses, pack large doses of antioxidants and polyphenols, are easily digestible, and full of fiber and a complex blend of vitamins and minerals. After looking at this list, I came up with a “menu” for Layla that incorporates pretty much every single one of these food items into her diet each day! 1) Blueberries: These little gems are bursting with antioxidants and flavonoids, which benefit your baby’s eyes, brain, and even urinary tract. Blend or mash them into my blueberry smoothie recipe, which you can mix with yogurt or oatmeal for a healthy breakfast. 2) Whole Milk, Plain, Organic Yogurt: This creamy delight is rich in calcium, vitamin D, and gut-soothing live cultures (probiotics). Be sure to buy the whole milk variety – your baby needs the extra fat and calories. And don’t get any fruit-flavored versions – they have way too much sugar. Stick to plain, organic, whole milk and mix in your own fruit purees as needed. 3) Prunes: These dried plums have TONS of fiber and antioxidants, and are great to add into your baby’s diet especially when they’re first switching over to solids. Try this apple & prune puree to keep your little one regular. 4) Avocado: The perfect first food for your baby, avocados are rich in healthy fats that help boost brain development. 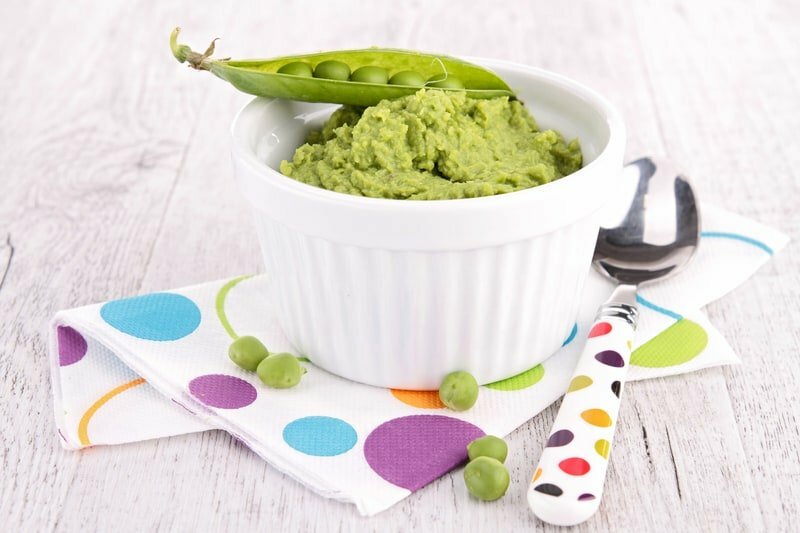 This avocado puree is simple to make and your little one will gobble it up! 5) Broccoli: This cruciferous veggie contains fiber, folate, calcium, and tons of antioxidants. 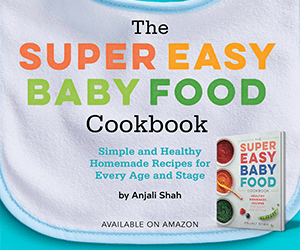 Get your baby used to this (and other green veggies early), and you’re sure to train their tastebuds to enjoy healthy food! I mix broccoli, cauliflower and spinach together in this “get your greens” puree – which I often mix into my lentil stew for a hearty dinner for Layla. 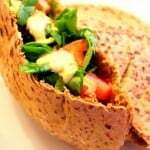 6) Lentils: All legumes have a healthy combination of protein & fiber which is great for your baby. But lentils have the added benefit of becoming mushy when you cook them for long periods of time, which means no pureeing needed! Try this Indian Lentil Stew mixed with yogurt – your baby will love it! 7) Kale: A great source of iron, folate, and all of the benefits of the cruciferous veggie family – kale, swiss chard, and other leafy greens are great to introduce to your baby. Make this recipe (minus the cayenne) for your baby – you can use any leafy green in the soup and it will taste great. 8) Cauliflower: Yet another cruciferous veggies with a milder flavor that’s very baby friendly. Make a healthy “mashed potato” for your little one using this recipe! 9) Sweet Potato: A great first or second food for your baby, sweet potatoes are good source of potassium, vitamin C, fiber and an excellent source of beta-carotene. You can’t go wrong with this simple sweet potato puree recipe. 10) Butternut Squash: Rich in beta carotene, this is another super-easy-to-digest first food that babies tend to adore. 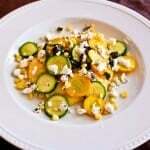 Caramelize this squash in the oven and then puree, it adds a richness your baby will adore. Once your baby is used to purees, you can start giving them chunkier versions of these same foods and start mixing them together with spices. 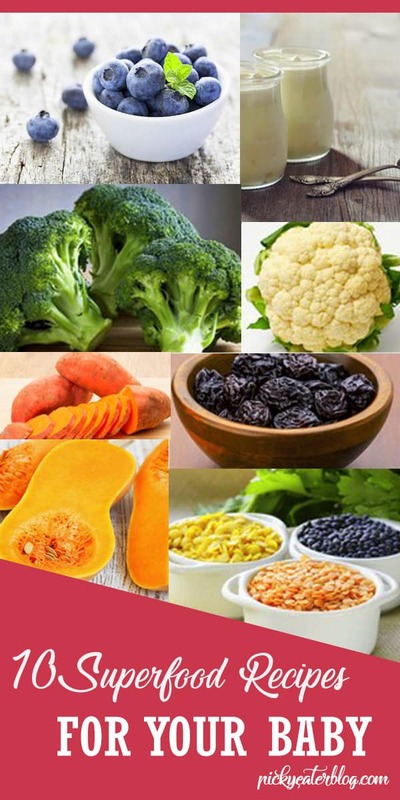 Here is the basic menu Layla has been on since she was about 6-7 months old – it makes it easy to incorporate almost every single one of these superfoods into your baby’s diet each day. This menu is perfect for babies aged 6-12 months, but honestly you could follow this for years to come with some modifications (e.g. 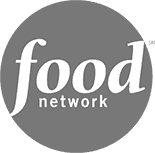 chunkier foods, more spices added, more variety in cuisines, etc.). 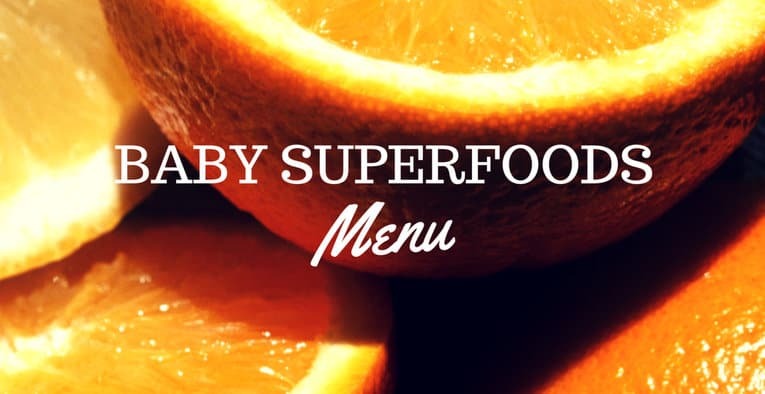 This “menu” makes it so easy to add superfoods into your babies’ diet, it will seem like no effort at all and will hopefully take some of the stress/pressure off when it comes time to start solid foods. 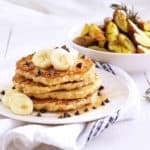 I can’t wait to hear how your little ones like these recipes! Hello! I am new to your blog and love it! 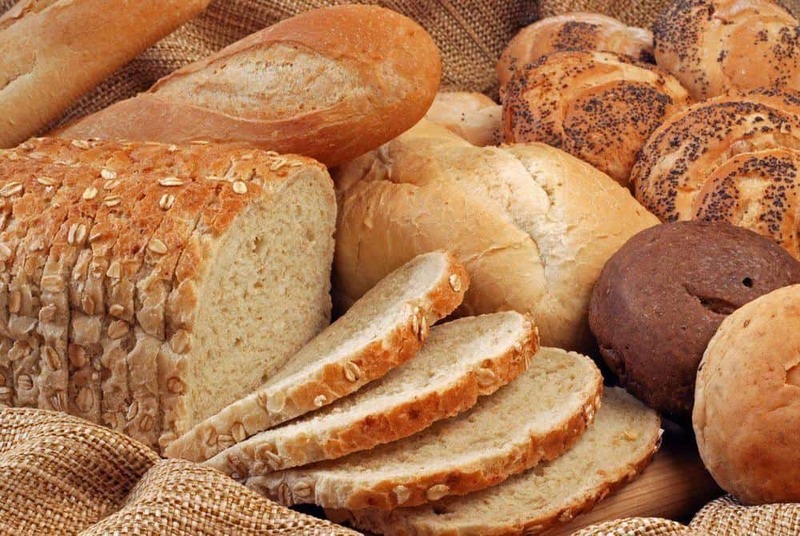 I have read several articles urging not to feed babies cereals because their body is not yet able to properly digest grains( body does not make the necessary enzymes yet). What are your thoughts on this? Also, what type of cereal do you use? Hi Olivia! Thanks so much!! I’m so glad you like my blog and it’s great to “meet” you! To your question about cereals – I agree to hold off on cereals, but for a different reason! First, I never recommend introducing rice cereal (ever – unless your pediatrician recommends it due to an allergy concern) – it’s not nutritious at all and is usually super refined. And in general, I don’t like introducing cereals as a first food – or even as an early food – because babies palates are already used to sweet/bland tastes and textures and cereal is just an extension of that. I recommend starting with mild veggies like sweet potatoes, carrots, green beans, peas, avocado (which is technically a fruit 🙂 ) etc. Then moving on to fruits and lentils/beans, and then introducing grains along with the lentils/beans. And when you do introduce cereal, I recommend starting with oatmeal and quinoa which you can actually make yourself by grinding the whole grains down to a powder and then cooking the same way you would regular oatmeal or quinoa! Hope that helps, let me know if you have any other questions! Hi Francheska! So yes! Each ice cube counts as 1 ounce of food. So to start, you can do 1 ounce 2 times a day (depending on how excited about food your little one is, you can do more or less in each sitting). As your daughter gets more used to food, you can increase portions to as much as she wants to eat! Eventually – this guide will be helpful for you in knowing how many oz to give in each feeding and what times (approximately) work for meals. 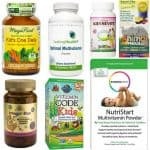 My son at 12 months was doing 3 meals a day with 6-7 ounces of food in each meal. But to start, 1oz, once or twice a day is good! (so that would be 1-2 ice cubes total per day). Hope that helps, let me know if you have any other questions! 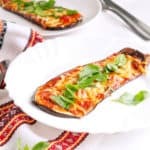 Loved your posts on the baby food recipes.Good work!Our pediatriacian has recommended high calorie diet and weight gaining food for our 9 month old baby girl.It will be great if you please can share some suggestions. Hi Mandy! Is your baby girl not gaining enough weight? If so, I’d recommend incorporating a lot of healthy fats into her diet – e.g. whole milk yogurt with her meals, organic butter, coconut oil, extra virgin olive oil, or ghee mixed into her food, full fat cheese, avocado daily, and nut butters mixed into her food (as long as she isn’t allergic). If you add some of those healthy fats into each of her meals that should help her gain weight! Let me know if that makes sense and if you have any other questions! Thanks for your quick response Anjali. Yes I have already started adding coconut oil and olive oil to her food.Can I also add the oil to her oatmeal with formula. 1.Can I also add the oil to her oatmeal with formula? 2.She is 9.5 months and currently drinks only around 15 oz of formula.Is it ok.I keep on offering her through out the day but she rejects most of the time. 3.She drinks Similac Isomil.I saw your post on formula.Is there any good soya choice for those European formula which you’ve recommended. 4.Can we start giving her cheese or nut butter at 9.5 months? 5.Can we give her organic jaggery and wheat germ? By the way, congratulations for your new book ???? I am waiting to grab a copy tomorrow ????. 1) Yes, you can add a bit of oil to her oatmeal with formula as well! 2) If she’s eating 3 full meals per day, 15oz formula may not be too little. It really depends on how much food she’s consuming. Most babies will drink at least 24oz formula at 9 months of age, but it depends on how much food she’s eating. 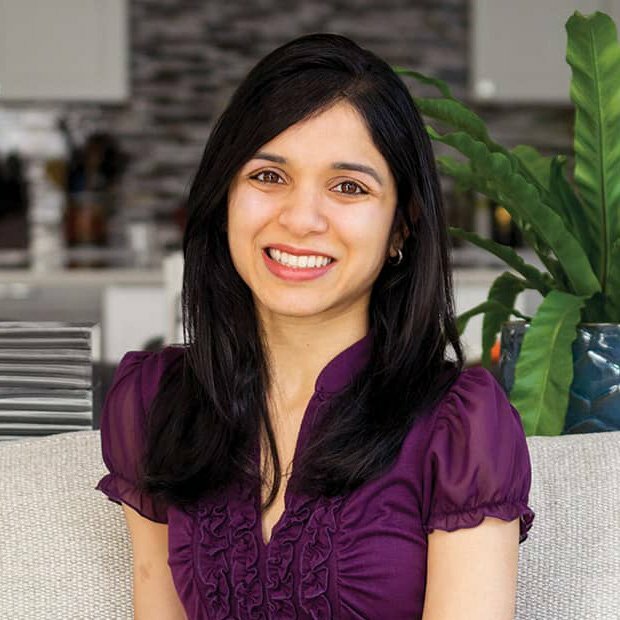 I’d also rely on what your pediatrician says since he or she has been able to see and interact with your baby which is important for determining how much your baby should be eating and drinking! 3) Is your baby allergic to lactose? Is that why you are using a soy formula? If so, Baby’s Only with Soy is a good option. Otherwise, if you don’t need a soy formula but need to avoid cow’s milk, I’d recommend Kabrita which is a goat milk formula. 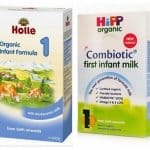 Or if you need a hypoallergenic formula I’d recommend HiPP HA. 4) Yes you can do cheese and nut butter at 9.5 months! I’d just recommend giving it in the morning so you can monitor for an allergic reaction throughout the day. 5) I wouldn’t recommend giving her organic jaggery at all since it is basically just a form of sugar. I’d avoid all added sugars for the first two years of life. Wheat germ is perfectly fine as long as it’s ground up enough for her to be able to swallow! Thank you so much (regarding the book!) 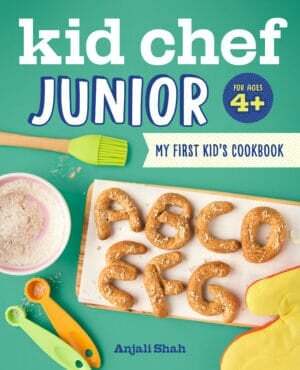 I can’t wait for you to get a copy – please let me know how your little one likes the recipes once you do!! Hi Ami! You can nurse your baby in between meals – so for example: you can nurse when your baby wakes up for the day, and do breakfast around 9 or 10am, have lunch, and then nurse around 3pm (instead of a snack), and then do dinner and nurse before bedtime. Let me know if that makes sense and if you have any questions! Hey, great recipes! I’m a little apprehensive about giving packed superfoods available on the shelves of supermarket. Should I give them to my 10 month old baby? We just found out that his growth is not up to the chart but he is quite active and healthy. Thanks Vaishali! By “packed superfoods” do you mean the pre-packaged toddler fruit/veggie purees? The ones that you can squeeze out of the packaging? If so, those are perfectly safe to give to your baby, but in my opinion, they are expensive and it’s much cheaper to make your own baby food at home. Also – most of those purees don’t have the right proportion of fruits to veggies (they usually overdo it on fruits so that the mixture is sweet, and it ends up having mostly fruit and less veggies than it should). So I’d recommend just making fruit and veggie purees at home! If your baby is 10 months he should definitely be eating solid foods 3 times a day along with breastmilk or formula. As far as his growth goes – without knowing more details I can’t provide too much help, but as long as your pediatrician says you are feeding him enough and they aren’t concerned I wouldn’t worry too much about it! If you do want him to get more calories, healthy fats like avocado, whole milk yogurt, olive oil, coconut oil, nut butters (if he’s not allergic) are great to add into his daily meals. Hope that helps! These are all awesome, and so great you posted these.. I make kitchari all the time for my kids- with my 9 mo old we are following baby lead weaning, So i actually make your version more grainy with 1 cup lentils: 1 cup rice and 2 cups water, mixed with frozen veggies and pinch of some spices. He loves to pick up each grain and feed himself. 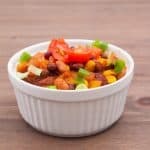 I was just curious if your recommended quantities of foods per meal were based on anything specific, and at what age should they be eating these quantities? I’ve noticed that my LO really won’t nurse ( he refuses bottles) if he eats too much food so its tough to find a balance when he just feeds him self chunkier foods vs purees. I do purees more on the go, and just give him what we’d eat or big brother eats at the table if there is time, but I feel like it’s not more than an oz or two of actual food (not pureed) per meal and if I give more than that he doesn’t feed too well… maybe the water content is much higher in the puree its equivalent? 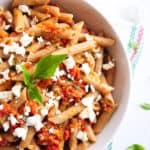 .. i know its always recommended that the baby’s milk is more important than solids before age 1 so i try to nurse before giving solids, but he seems to love solids so much 🙂 Anyways just wondering if these recommendations were really for older babies, or just based on what your daughter is taking at the moment 🙂 This is a fantastic article… we use almost all these foods on a daily basis, so good to know you are too! Thanks Nina!! Oh that’s so cool that you’ve been doing baby led weaning – I wasn’t courageous enough to try that with Layla initially (was too worried about choking) – so we’re doing chunkier foods now instead 🙂 Regarding quantities of food — honestly that’s just what Layla is eating these days and it’s loosely based on the “how much should your baby eat” guides on BabyCenter, Parents Magazine, etc. But every baby is different and some babies may eat more than others at each sitting – if your LO is growing, healthy, and your pediatrician says all is well, I wouldn’t worry about him only eating 1-2oz of food at each meal. Layla ends up eating the same amount whether it’s a puree or chunky food (when we’re giving her chunky food she also drinks water from her sippy cup, so it probably ends up being equivalent to the puree – which is a little more watery like you said). Layla’s 12 months, but has been doing this amount of food since about 7-8 months – with some fluctuations here and there. Regarding when to nurse vs. giving solids – do you space the two out? We don’t feed Layla unless it has been 2 or more hours from her last “meal” – whether that was milk or solids – so that helps her to eat more in each sitting. Here is her current feeding schedule in case it helps: http://74.220.215.66/~pickyeat/a-sample-feeding-schedule-for-your-baby-6-12-months/. Let me know if you have any other questions!! Wonderful ideas! My daughter is 8 months old and so far likes everything she has tasted except banana babyfood–she likes plain fresh banana, but in the jar it has added citric acid, which gives it a tangy flavor that just tastes wrong, I agree! We are going to continue feeding her a wide range of foods in hopes that she continues to be willing to eat most things, like her brother who is now 10 years old. He got more particular when he was around 3, but he’s always eaten more variety than a lot of American kids. Masoor Dal is one of his very favorite foods; we make it somewhat spicy and mix in grated carrots, and the baby loves it, too.